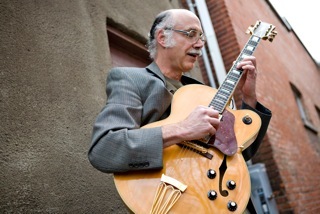 Boon's Treasury will host the Bill Hughes quartet on the second Thursday of each month. The band will play jazz and pop standards in a jam session format and showcase some of Salem's top talent. The band features Ken Anoe on bass, Mark McKinney on piano, Mark Powers on drums, and Bill Hughes on guitar. Collectively these guys play hundreds of gigs a year from Dixie to funk to jazz with a healthy dose of blues and rock and African rhythms. Primarily Northwest players, individually they have played nationally and internationally and Ken has played for heads of state from around the world.